Well written, amusing story that takes place over 5 days at the start of Baxter Bird’s time at the University of Leicester in the early 1970s. Some slapstick moments and some heart wrenching stories within the story. My only criticism would be that the characters weren’t deeply explored — but on some levels this doesn’t matter. You didn’t really understand why they behaved in the ways they did – especially Truman.I think this would make a great film! 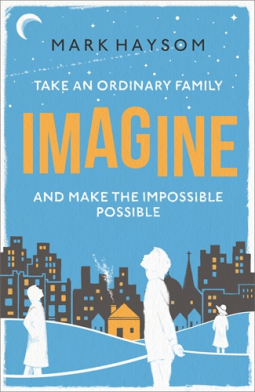 Imagine is written by Mark Haysom and published by Little Brown Book Group UK. I received an advance review copy in exchange for a fair and honest review. Imagine is available for purchase on Amazon. This book is a feel-good tale of friendships and relationships – following your heart and not taking others for granted. I can’t wait for her next book to come out (hurry up and write it, please Marcie!! That’s What Friends Are For is published by @Bookouture TODAY (11th December). I received an advance review copy in exchange for a fair and honest review. Thank you! Sue Watson weaves a tale of Christmassy cheer, intertwined with old secrets, lost friendships and family histories. Bella and Amy were friends as children and lost touch. Their friendship ended suddenly around the time that Amy’s mum died. Fast forward to today and Amy has just been left by her husband, works as a Maths Teacher and is frugal in her spending. She volunteers at the local homeless shelter too. Bella is a celebrity chef – think Nigella, Delia and Mary Berry rolled into one!! Bella has a lovely lifestyle, a handsome hunk of a husband, a beautiful home and her own TV show. She is unapologetically drawn to the finer things in life. Trouble is, most of Bella’s life is fake — and Amy wants to expose this, particularly the theft of her mum’s recipes. 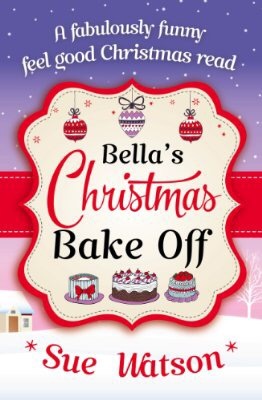 By some miraculous luck, Amy is “chosen” to win the Christmas prize on Bella’s cookery show – and this is where the fun begins. The behind-the-scenes look at TV is obvious yet funny and on the money. The caricatures are extreme yet realistic. And the friction and banter between Bella and Amy is fun and adds to the story. Long story short, the story comes together well with bittersweet reveals about their history and heartwarming rekindling of a friendship whilst helping others less fortunate. An uplifting tale, about friendship and being authentic. Worth a read – will get you into the Christmas spirit. I received an advance copy in exchange for a fair and honest review. The Girl with No Past was an easy read and had shadows of “gaslighting”, a form of abuse where the victim is drawn to question their own judgement, memory and sanity. The characters were well-drawn and the story flowed well. The use of alternate chapters, a device often employed, helped to reveal the modern story whilst letting the past unfold. There were many twists and turns and was surprised by the ultimate tormentor. The Girl With No Past by Kathryn Croft is published by Bookouture on 15th October. It is available to purchase from Amazon. I received an advance copy from netgalley in exchange for a fair and honest review.